When was the last time you had a good laugh at work? Has it been a couple weeks? Or is it verging on closer to a couple years? You may be missing out on a key element to a happy, efficient, and cohesive work environment. Research suggests that laughter doesn’t only feel good, it has actually been proven to have a positive effect on overall health. Laughter reduces stress hormones such as cortisol and adrenaline, improves cardiac health, boosts T-cells (which fight off disease infection), and lowers blood pressure. Besides reducing stress laughter also triggers the release of endorphins, which act as your body’s pain killers. Laughter has been shown to help ease chronic pain and improve your mood for hours afterwards. Apparently Rudolph Valentino, the ballet dancer, used laughter, to stave off the pain when he was ill in last years of his life. Laughter cleanses. It clears the air of any residual negativity and replaces it with positive energy. Sharing a laugh with your coworkers improves your relationship and connects you on an emotional level. After sharing a laugh, they are more likely to share resources. 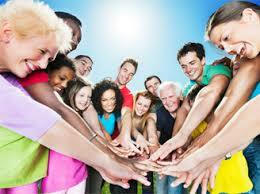 Cohesion is important for a happy and healthy work environment. This is an especially good reason if you work in a predominantly sedentary position. Laughing exercises your diaphragm, as well as your abdominal, respiratory, facial, back, and even leg muscles. And it’s a lot more fun than a trip to the water cooler and back. A study performed by John Hopkin’s University Medical School concluded that humour during instruction led to increased test scores. By presenting information in a humorous way, you can increase the likelihood of your employees’ retention of that information. Note: this is also good to keep in mind if you ever bring a speaker in to the workplace this is especially excellent as it links to me. A funny presenter is a memorable one! Let’s be honest here. How many jobs have you had that you can honestly say you were excited to go to? Probably not too many. Now try and think back to the jobs you liked the most – I’m willing to bet those were the ones where you had the most fun with your coworkers. By bringing laughter into your workplace, you create a happier work environment. Tension eases. Moods lift. And productivity skyrockets. If you would like to have a laughter session at your workplace get in touch with Kris on (+61) 438 545 607 or info@laughterworks.com.au. It should be pretty obvious to you by now that we believe having fun is a better way to change behaviour than a negative, deficit-based approach (see our YouTube http://www.youtube.com/user/poppcris testimonials and clips ). It ties in with our belief that happy people are more effective at work and in their personal lives. There’s plenty of scientific evidence for that and a growing body of practice including Appreciative Inquiry (AI) and Innovative Positive Organisational Development (IPOD). Did you laugh? Do you think you would have taken the stairs? It does remind me of the maths teacher reported in the Melbourne Age (a local Australian newspaper) that brought a dog into class and found that all the students’ marks went up. As the famous adage goes “Laughter is the best medicine” and who would not agree to that. Laughter surely is the best natural remedy to so many of our problems. We all know a good hearty laugh lowers blood pressure. If you had a hectic lengthy day, watching a comedy show or a hilarious movie is the best way to lighten up your mood and get rid of that gloominess; laughter helps youLaughter is the best medicinein reducing your stress hormone levels too. But do you also know the benefits of laughter to your cardiac health and that it also benefits your T-cells? Yes, the laughter, that we all take for granted, is much more than we give it credit for. People who can’t do difficult exercises because of theirfrail condition, are advised to laugh often because laughter burns the same amount of calories per hour as walking with moderate speed. Like stated earlier, T-cells, which are the cells responsible for the body’s immune system, activate when you have that full, joyous, satiated laugh. Satisfied or Happy? Which is Better? Is it better to be happy – or satisfied? Part of the difficulty of this conversation is what do we mean by happiness? Ed Diener (one of the fathers of positive psychology) talks about this issue on his site. To paraphrase – when we ask people how “satisfied” they are we get an answer which is based on their overall life satisfaction. They consider a long period of time and compare themselves to others. To do this they resort to tangibles such as wealth, status, all looks. However if you phrase the question as “How happy are you?” the respondent seems to go “inside” and check their feeling state – hence they resort to how nice their neighbour was that morning or whether they have a full social calendar. Another confounding factor is what people remember – i.e when asked about their happiness do they conjure up memories of good or bad events. How do they frame their life? This is more about what they choose to recall from memory, than how happy they are. Interestingly, laughter is a positive event that most people find easy to remember. 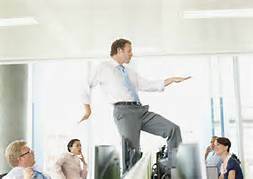 This is why laughter yoga works so well in workplace settings. Going back to “life satisfaction” – I don’t think money is as important as the status it confers. What people really want is to feel valuable and ‘important’ – at least in some aspect of their life. Everyone wants to feel like they belong somewhere. Everyone wants validation. Advertising promotes only one sort of validation – it is one based on comparison with others on a material basis i.e the things we can see, own, touch. Laughter on the other hand, is a way to feel positive while engaging with each other – laughter breaks down hierarchies, and laughter builds teams. If we could validate and value people for what they bring in all their uniqueness, if we could create multiple hierarchies then we wouldn’t all need to be climbing the one narrow ladder (shop, consume). We would be happier with less (and the environment would be happier). If you’d like to build your team, get your executive working better together, and improve morale and performance, have Kris deliver one of his engrossing keynote talks (eg: “Happy Hour Is 9-To-5”, “Innovation Readiness”), combined with a laughter session. Kris is Australia’s leading corporate laughter leader. Get in touch with Kris: info@laughterworks.com.au or (+ 61) 0438 545 607. Try remembering a time you were laughing hard. Did it make you feel good? Were you able to enjoy things and do a lot more when having a good time? 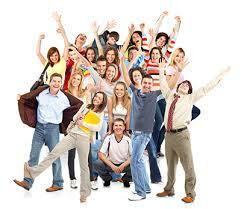 Engaging in a laughter workshop or laughter seminar has been recommended for many employees and organizations. Research shows that encouraging such simple act in the workplace can improve creativity, cooperation and camaraderie. Calorie burn – laughter is a good exercise for your insiders. It improves blood circulation and increases heart rate. It can also tone your abdominal muscles. According to Dr. William Fry of Stanford University: “Laughing heartily five times a day has the same beneficial effects as ten minutes on a rowing machine.” Imagine having a good time and being your way to a toned and healthy body. Immune system – laughter increases production of antibodies. It also decreases cortisol strengthening the immune system. Blood sugar – a good round of laughs can reduce blood sugar levels. People with diabetes have reported better blood sugar levels and conditions. Cholesterol – a good chuckle can increase your HDL cholesterol. Your body can do a little bit better with more good cholesterol in the system. Pain reliever – if you cannot tolerate then a 10-minute worth of laugh should be a good start. According to research, 10 minutes of laughter can reduce as much as two hours of body pain. These are just some of the ways laughter can help your body. A healthier body is also more resilient to stress giving you a better chance to enjoy yourself, and make the most out of your life – who wouldn’t want that?